Many people assume that the situation with non-Russian languages in the non-Russian republics was just fine before Vladimir Putin began his campaign to make the study of non-Russian languages there voluntary while insisting that the study of Russian be compulsory. But in fact, in none of them were the non-Russian languages being adequately supported by the authorities; and in some, the language of the titular nationality was being actively suppressed by those in power. Perhaps the worst case of all was in Mari El, a republic where Putin’s proposed policy in fact was put in place already 18 years ago. 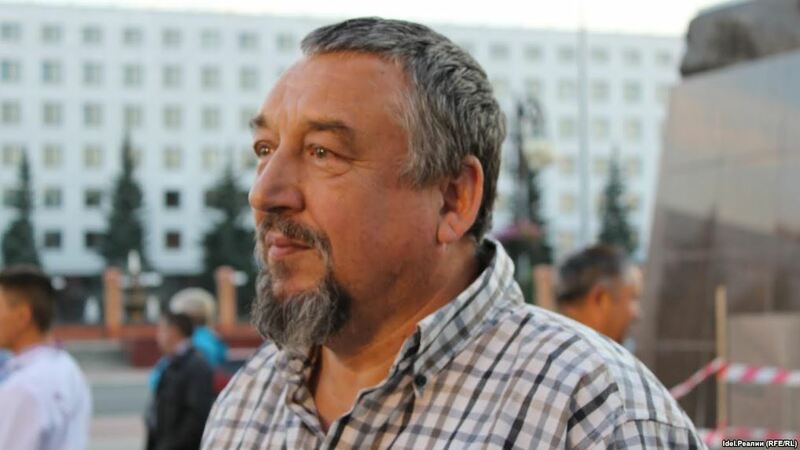 In 2000, Vasily Pekteyev, the director of the Mari National Theater, recalls, Leonid Markelov became republic head. He “simply hated the Maris” and did everything he could to destroy the language and culture of its people. Now, he is in prison but not for this greatest of crimes. Regions where there were no ethnic Russians but only Mari nonetheless were compelled to drop the Mari language as a compulsory subject and use Russian instead from kindergartens on up. And the republic government over the last 18 years has further threatened the survival of the Mari language and people by not supporting the study of the language at all. There is now no agreed-upon method of teaching it, Pekhteyev says; and in the courses where pupils do study it, they are given good grades even when they do not deserve them so that the authorities can argue that there is no need for instruction because as Putin’s supporters like to insist, they are learning the language at home. That is unfortunately not the case. “In Mari villages, instruction in kindergartens takes place in Russian, in part because of the lack of foresight and passivity of parents. There can’t be a single Russian in these villages, but instruction in the kindergartens and schools is in that language,” the Mari theater director continues. “It seems to me,” he says, that there is no countrywide nationality policy. In some republics, such as Chuvashia or Tatarstan, things have not gone this far. They still have kindergartens, schools and media in the language of the titular nationality. But Mari El, since the arrival of Markelov, shows where things are heading. Neither the Maris nor the ethnic Russians in the republic parliament will speak up. Both want to keep their jobs. The Maris fear they will lose their positions if they do, and the Russians are mostly happy to go along with what the powers that be want so they can keep getting their salaries, he says. The people Moscow sends to run the non-Russian republics have never worked there. “They perhaps are good administrators, but they are from a Russian milieu having worked in Russian oblasts. They’ve never encountered the problems of the national republics.” And there is no one who can honestly advise them.